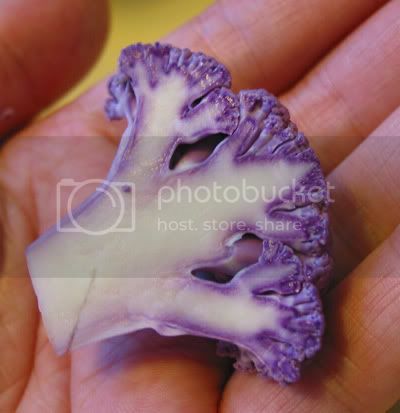 I love cauliflower too, especially roasted with a tablespoon of water and then tossed with olive oil, paprika, and tarragon. It's not in season right now, though. Now it's all about green beans and cherries for me. 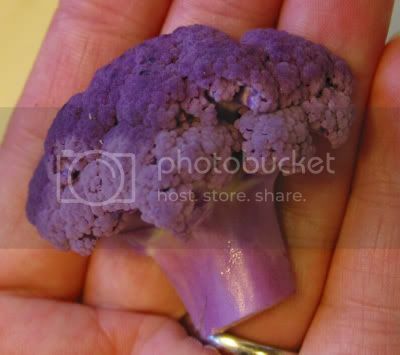 I never knew that cauliflowers come in purple colors too!